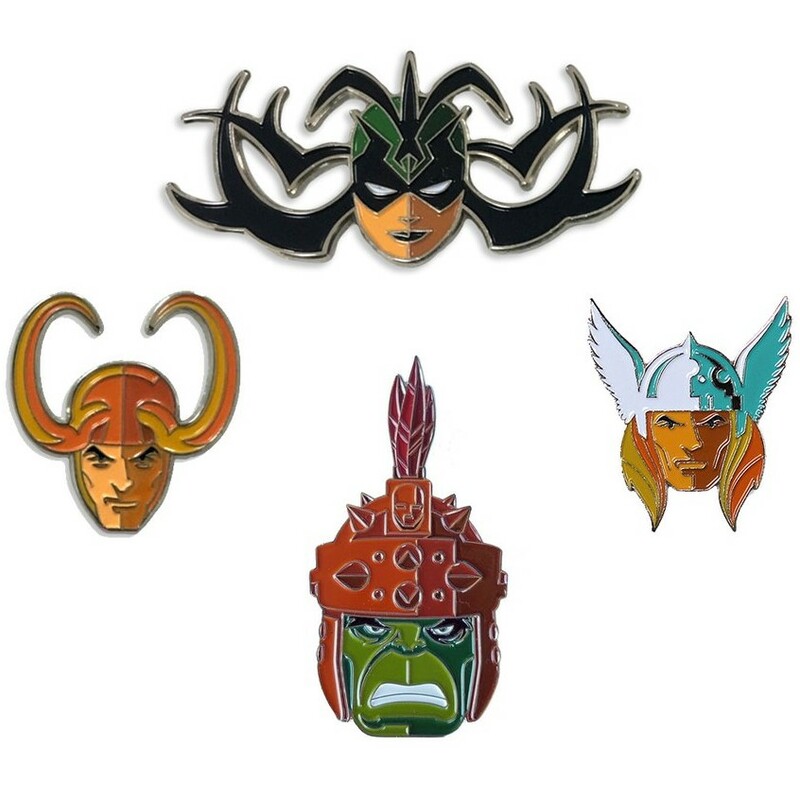 To commemorate Marvel’s release of Thor: Ragnarok in theaters this weekend, Mondo has released killer new set of Thor Portrait Enamel Pins by Tom Whalen! This new set of Marvel enamel pins features comic book versions of Thor, Loki, Hela and Gladiator Hulk in Whalen’s signature art style. These Thor soft enamel pins can be purchased now at the Mondo online store individually for $10 each or in a 4 pin set for $32.